EPSN Workforce puts our expertise to work in making the right connections between people, companies and countries. Our talented employees measure the wishes and possibilities of professionals against the specific need of (international) companies and institutions across Europe. We take care of the whole recruitment, matching and placement process. 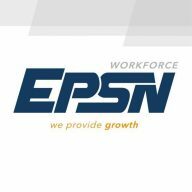 With 9 Branch Offices in Europe (Bulgaria, Germany, England, France, Hungary, The Netherlands, Poland, Portugal and Romania), EPSN Workforce aims to become one of the largest employment agencies, specifically focussing on theTechnology/Construction, Healthcare/medical care, ICT and engineering sectors. The entire EPSN team consists of enthusiastic professionals,each with their own quality and field of expertise. The lines of communication are short, which makes it possible for us to react quickly. This way we can offer our clients the flexibility and swiftness they need. On the international recruitment market EPSN Workforce is one of the major players, and our ambition is to become and remain one of the largest and best in this segment. We take good care of our professionals, mainly because we have learn to understand their different cultures and background. We are not only aware of the differences in work culture, but we are also aware of the differences in the residential and lifestyles cultures. We provide the services that are necessary to successfully start working abroad and guide our candidates through the process of starting a new life overseas. Review our current vacancies, visit us, talk to one of our consultants and let EPSN find you your ideal position. EPSN Workforce has the expertise to fulfil your individual requirements. Whether you are seeking candidates for short-term freelancepositions, or permanent employees, EPSN can help you find the best candidate for your business. With over 9 offices across Europe you are assured of maximum commitment in the field of personnel staffing, permanent placement, recruitmentand matching. All details on occupational areas, competencies and educational levels can be found in the candidate database, which can be accessed at each of our 9 offices. One of our experienced recruiters will start searching for the talent you are looking for. We do this quickly, with guidance and care. This is reflected in WHY we do what we do, HOW we do it and WHAT we do.